Home Destiny News Is Faction Rallies Season 2 An Improvement? Before Faction Rallies season 2 went live there was no time, according to Bungie, to tell anyone how the live event had been changed from the last one. When Faction Rallies started this week Guardians were put out by the fact that they weren’t earning any of the new Faction weapons from Faction Engrams. It turns out that these new weapons, which are coming with the Curse of Osiris DLC, won’t be available until the next Faction Rallies event. Of the five new weapons that have been put out there with this Faction Rallies only one will become available for purchase out of the three Factions. This will be dictated by the Faction that earns the most Tokens during the course of the event, and will go on sale during the victory week that starts on January 23rd. Once this Faction Rally is over the weapons that might have been earned will be rotated into the Faction Engrams for the next Faction Rallies event. The same will then happen with the second event’s weapons, meaning there will be two event’s worth of weapons to earn in the third and final event of the season. The weapons are known as Winner’s Offerings, and they’re going to become the stuff of legend at some point in the future of Destiny 2. This change hasn’t exactly gone down well with Guardians, mainly because they weren’t informed and have wasted a little time doing the wrong thing or trying to earn something that they can’t. What this should be is a lesson to Bungie that they need to keep the community updated with what they’re planning. Destiny 2 thrives on its players, and its players thrive on information. We like to be able to do the very best we can in events, but that’s not possible when the information isn’t passed on. With that said, the fact that Bungie is taking steps to changing things up and keep them interesting is much appreciated by a lot of players. 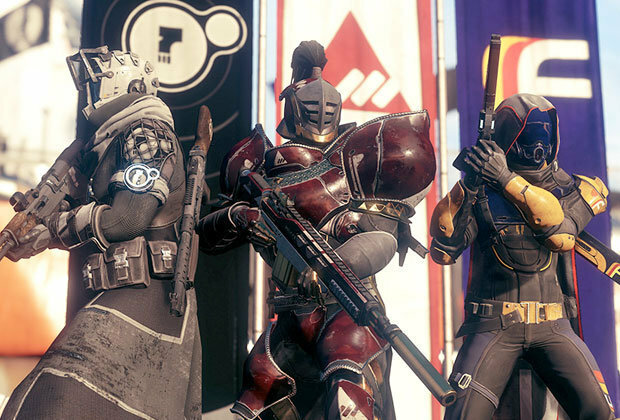 The change in the way the event works means that there’s always a way to earn that particular weapon you wanted, and you get a chance to earn it every single Faction Rally. Let us know what you think in the comments.